Our team was so encouraged this week to see the way that Pastor Dave Swaim from the Highrock Church Network has encouraged participation in our worship night! I appreciate his wisdom that the Church in Boston needs more followership, especially among larger churches and movements, in order for God to lead us towards greater unity. “But God has put the body together, giving greater honor to the parts that lacked it, so that there should be no division in the body, but that its parts should have equal concern for each other. If one part suffers, every part suffers with it; if one part is honored, every part rejoices with it. Now you are the body of Christ, and each one of you is a part of it” (1 Corinthians 12:24-27). A movement across churches is emerging, a united song is rising up: May we come together to worship the One who gives life and love to the city! For years many of us have lamented how fragmented the Christian community is in Boston. I’ve always believed that it is due to a lack of leadership, but recently I’ve wondered if the real problem is too much leadership, meaning that everyone wants unity so long as it means everyone else following or agreeing with me. Perhaps what we need now is more “followership”, meaning churches willing to NOT be in charge. I think this is an especially essential spiritual growth edge for larger movements like Highrock. 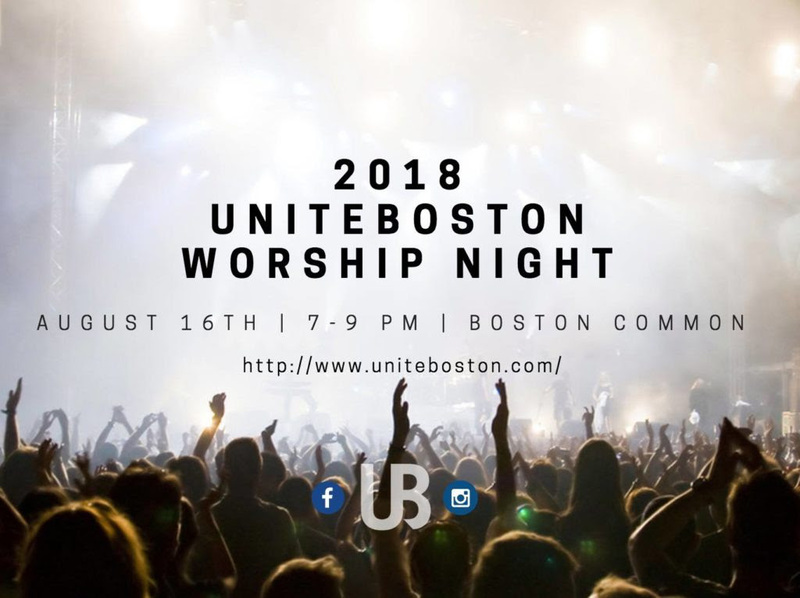 A diverse group composed primarily of smaller urban congregations of color is gathering for a worship night, and has asked all Christians in Greater Boston to join them. Too often larger churches ignore these invitations because we already have our own busy calendars, but this only perpetuates our division. This is a chance to change that. This group will include Christians of every ethnic, economic, and denominational stripe, so it’s probable that not all the songs or styles will be your favorites, but I believe that this is a moment to be led by brothers and sisters in Christ for the sake of the unity of the Body of Christ. I don’t know what this event will be like, but I am looking forward to a new experience while building new relationships as we worship with our spiritual family whom I don’t yet know.